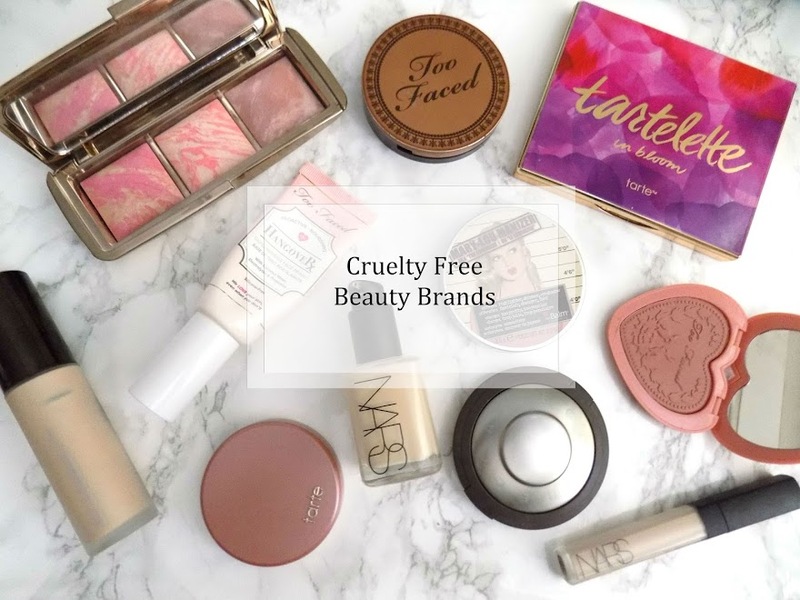 This is the second day of my week of 2014 summer beauty trends where I have chosen some of my favourite-est beauty trends. Yesterday was my Monday Mani showing the chevron trend that has been incredibly popular in nail art. 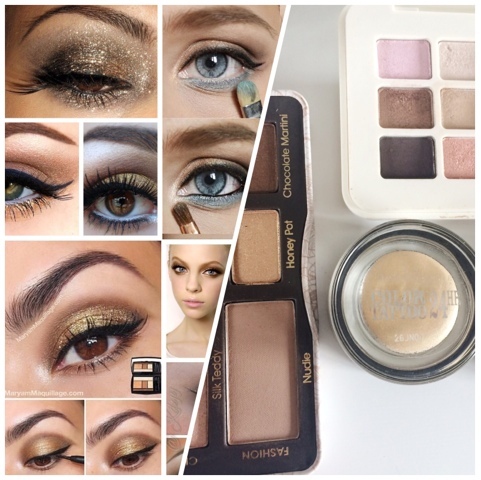 Today is all about the eyes and I will be giving you some ideas, options, some tips and maybe a peek into what these trends look like on me so keep an eye out on Instagram for that. The first trend I wanted to discuss was gold eyes. This has been seen a lot. From runway to the drugstore. 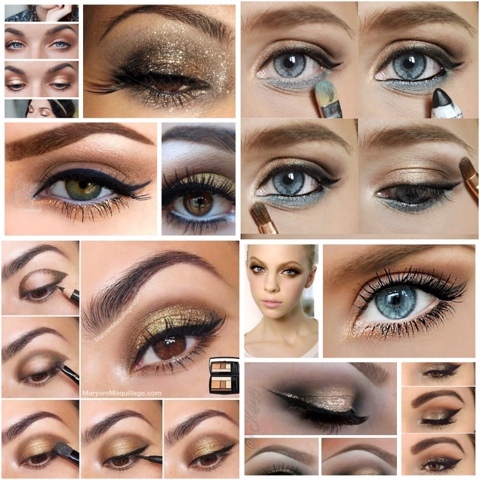 Gold eyeshadow has definitely taken the beauty world by storm. Although the options I am going to show are no where near as crazy as some of the photos and articles I have found, this is more of an everyday, more wearable look for those of us not permanently on a catwalk or modelling for the likes of Chanel or Yves Saint Laurent. As you can see, there is a variety of products here. 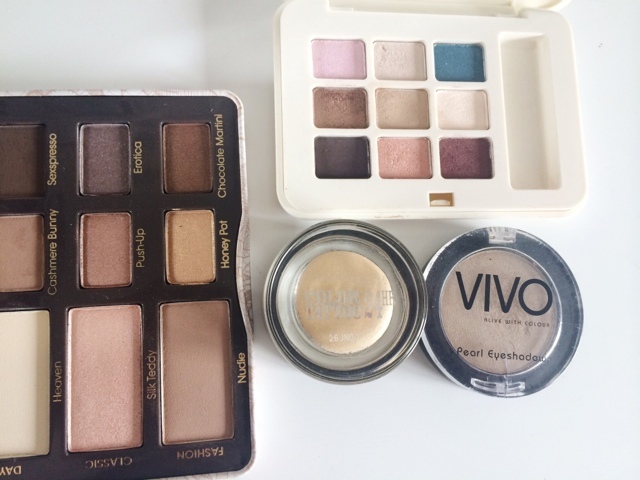 From powder eyeshadows in the palettes to cream bases from Maybelline and there is a NYX Jumbo Eyeshadow Pencil available in a bright and stunning true gold shade which I can't seem to find at the minute. If you want to really intensify the look of the gold and you are using a powder eyeshadow, wet your brush slightly with a setting spray or even just a standard water face spray and then pat the gold shadow onto your eyelid. This will intensify the pigment and give you a stunning look to the eye, metallic almost. You can also use normal kohl eyeliners which come in a gold shade as these can be smudged along your lash line, or used all over the lid. The gold base is the perfect first step to prepare the eyelid as well as add some gold whilst priming the eyelid. This used to be something I rocked back in my teen years. Where I thought the whole world was against me and I was unbreakable. Apparently I wasn't but not the point. The whole emo, smudged eyeliner thing was very on trend in those years so this brings back many memories. 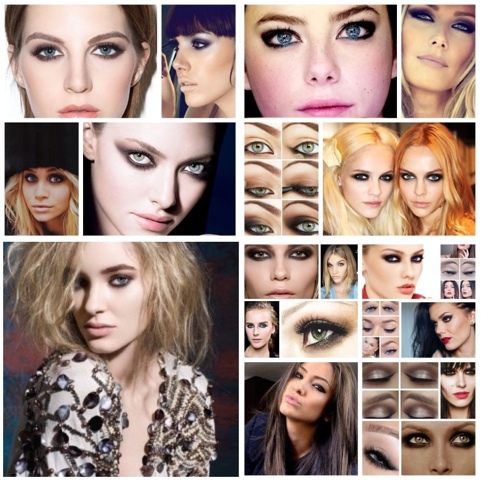 This look has been seen a lot this season and not just the grungy, smudged eyeliner look. 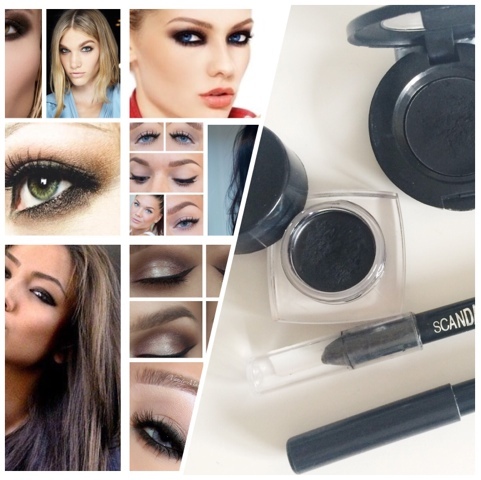 There has also been some rather imaginative uses for liquid eyeliner and it has been used along the upper lash line and up through the crease of your eye. Not my cup of tea but the grungy look, I can do. I've kept it pretty simple with this look and I've gone for a super intense, smudged eyeliner look on my top and bottom lash line. I've lined my water lines too to give some more grungy-ness to it. 1. I applied the Rimmel waterproof kohl eyeliner along my top lash line and smudged this out. I reapplied until I was happy with the pigmentation and the look. 2. I then used a matte black eyeshadow to smudge it out a bit further but mainly to set that all in place so it doesn't budge. Using an angled brush and the black shadow, I lightly created a small wing to elongate my eyes slightly and to give them a little more shape, I smudged this with the brush and reapplied as before. I prefer the look this gave than with a blunt edge. 3. 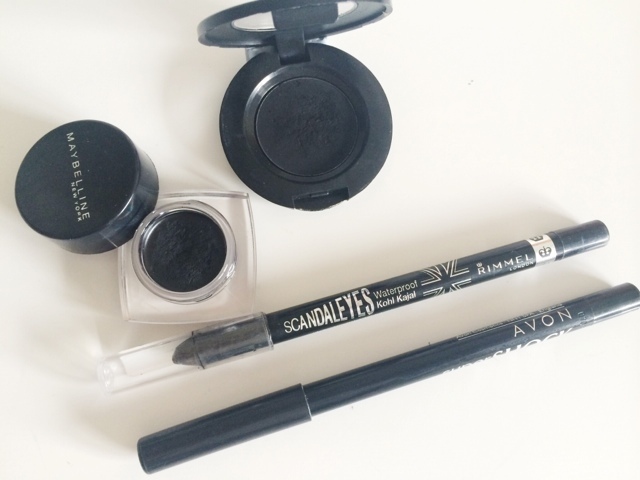 I then used the kohl eyeliner and the matte black shadow to line my top and bottom water lines to deepen and thicker the lashes and to add some more drama and grungy-ness. 4. For the bottom lash line, using a shader brush I smudged the kohl eyeliner (from my waterline) down and along the outer 3/4 of my eye. 5. Then, using a matte brown eyeshadow a few shades darker than my skin, I smudged this and blended out the black to soften it ever so slightly and to blend a little better. I also applied some of that shadow into my crease ever so slightly to contour the eye a bit as it is very intense and black so I wanted to soften it a little. With this look it's super important to smudge it out well if you don't want such a harsh, black grungy look.